Strong indication that 8 1/2 is moving to Church Hill! From a rumor to a strong indication, it looks like more delicious pizza and sandwiches are coming to Church Hill! An avid source recently posted on reddit that 8 1/2 is moving to the old Stroops place in 2709 E Marshall St with a strong indication that the lease was signed a couple of months ago. This would be 8 1/2’s second spot in Richmond, with the first being in The Fan. A quick look into 8 1/2 reveals a deep reverence over their white pizza and their simple yet full of flavor sandwiches. CHPN is reaching out to them for final confirmation, but the signs are looking good! Well, this would save our family a lot of rides to The Fan. I for one am thrilled at the prospect. The only thing that would make this news better is if they were moving into the old Dog & Pig Show space — closer to our home. Yay!!! Another great option for the Hill!! There are people working in there daily. Snuck a peak the other day. how expanding our culinary universe beyond pizza and sandwiches? we have more than enough of that in the area. I’ve also seen people working in that space! I just hope the space big enough! ?? 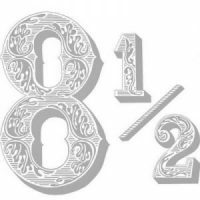 8 1/2!! @cynic What would you prefer to see? A diner. A good diner that was open 24/7 with low cost normal food. 8 1/2 has the best eggplant parm on the planet. goes great w/ pizza on the side. thank you Ed V! Ha! @8 24 hours? Does the diner come with security for all the drunks from the courts and the bottom ? We need a good Chinese, or Thai or Vietnamese restaurant on the Hill.